There is an old saying in sports that goes “Your hired to be fired”. This is ringing true in todays NBA and rookie head coaches are feeling the brunt of this. There will be five rookie head coaches in the NBA this year and two of them are former players who have had no high-level coaching experience. Fans and some analysts were confused by these hires and rightfully so. No high-level coaching experience, success or history to back them up. They are essentially put in a place to fail unless your David Blatt but he has other issues to deal that is full of pressure and high expectations. Steve Kerr (GSW), David Blatt (CLE), and Quin Snyder (UTAH) are the few among the rookie head coaches that have coaching/general manager experience at various levels. 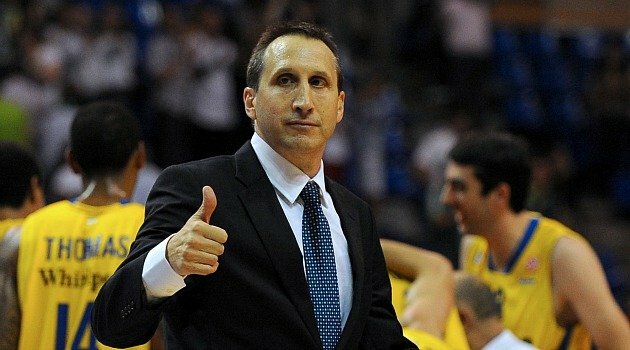 Blatt was the head coach at Maccabi Tel Aviv B.C before he took the Cleveland job. This was a highly successful and dominant team in the Euroleague. He also led Team Russia to a surprising bronze medal in the 2012 London Summer Olympics. Blatt has a very unique road ahead of him and its going to be filled with scrutiny and expectations. Having “The King”, Kyrie and K-Love will surely make his transition to the NBA smoother. Blatt’s offensive sets and strategies include a heavy dose of the Pick and Roll, as well as Horns (2 high posts). He needs to take a page out of Erik Spoelstra’s book and get players to buy in on the defensive end and work from there. It’s not going to happen right away. Patience will have to be a virtue for Cavs’ players, fans and management. The HEAT’s big three took a year to learn how to win and play together. They ended up doing well for themselves by making it too four consecutive NBA finals and winning two championships. Quin Snyder has a young and exciting team to work with. He has experience coaching college (Duke and Missouri), and just recently an Assistant Head Coach for the Atlanta. He first got to learn under Coach K and now he is on the family tree of Greg Popovoich descendants. Learning under Mike Budenholzer will only help him be a success story in the NBA and not a sad tale of another rookie coach getting canned. It will be exciting to see how Snyder develops chemistry between Dante Exum, Hayward and Trey Burke. Steve Kerr will be one of the first coaches on the hot seat. That is based on the warriors roster and recent success. Mark Jackson was loved by that roster but the feelings coming down from management weren’t as friendly. Kerr will have to earn the trust of Curry, Thompson and the rest of the Warriors. Kerr has played for two of the greatest coaches in Phil Jackson and Greg Popovoich. He has a lot of talent to work with and making defence a number one priority is key. Offence and scoring won’t be a problem so making players accountable on the defensive end will be a must. Trust, Leadership and results are all factors that will be involved in the success or failure for Steve Kerr’s tenure in Golden State. Derek Fisher and Jason Kidd are the two coaches going straight from the jersey to suit and tie. Jason Kidd had an up and down season with the veteran loaded Nets which resulted in one playoff series win. Being a head coach wasn’t enough for him and wanted more control. The Nets must have thought it was a joke but they were sadly mistaken. They than “traded” him to the Bucks for draft picks during the off-season. Fisher gets to coach Melo and the circus that involves the rest of the Knicks roster. He will be a good puppet for Phil Jackson to control and try to run his patented triangle offence. How Fischer reacts to the heightened expectations and increased pressure of the media in New York will rival the drama of a New York City broadway show. Fisher has nowhere to go but up so he has a workable situation. Having Carmelo Anthony on your team doesn’t hurt as well. Having a pure scorer and a go to guy is a player that everyone coach needs and wants. Ball movement and unselfishness is something that D-Fish will have to bring to the Knicks culture and team. Nobody likes being on the hot seat and General Managers have now found someone to sit in that particular seat. Their mentality is that if the coaches can’t work with what they give them than the coaches are at fault. It’s an easy exit route for GM’s and is smart way to keep their job in tact. It will be exciting to see how this season plays out and see which coaches survive and advance.